I was a latecomer to the cult of Jane Austen. Yes, I admit it: it took Kiera Knightley’s Elizabeth Bennet to reel me in. I watched that film and thought, “Jane Austen is funny?” I immediately read Pride and Prejudice, found it to be even funnier than the film, and never looked back. Countless viewings of all five hours of Colin Firth goodness, a few bonus hours of “Sense and Sensibility,” a romp through my newly-purchased Complete Works, and I was dying for more. Suddenly, thanks to the efforts of various writers – of varied degrees of talent – I could find out what happened after the curtain fell on Elizabeth and Darcy. Births, deaths, marriages, friends, enemies; their future was mapped out in countless permutations. Peripheral characters are not neglected, either. If you ever thought Caroline Bingley should end up with Colonel Fitzwiliam, there’s a story (or ten) for you. Ever wonder, “What would have happened if…?” You name it, and someone has written it. Would you like to see what would have happened if Wickham and Georgiana had actually eloped? If Jane had married a brother of Charlotte Lucas? If Anne deBourgh decided to stand up to Lady Catherine? Look no further. I warn you, however: your mind will become a jumble of conflicting names and scenarios as you struggle to keep the stories straight. Did Charles Bingley propose to Lydia in the one where Lizzy gets amnesia and Mr. Collins is actually the Scarlet Pimpernel? Or was that the one where Colonel Fitzwilliam follows Kitty to Town where she marries an earl who joins Darcy in a ring of art thieves? Tell me – do you read fan fiction? Love Jane Austen? Wonder what the fuss is all about? If you could have a sequel written to a favorite book, what would it be? I’m grateful! for all the fun I had with the blog today, playing with backgrounds and adding tags. I’m lighter! I had a lovely email chat with my friend Markoleon today. Those are too few and far between. 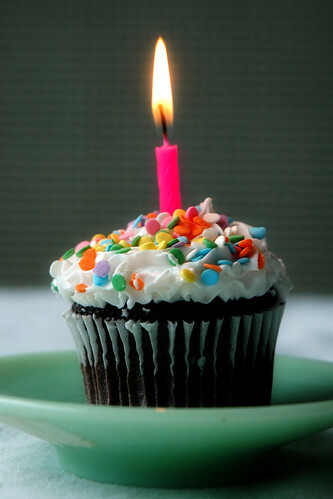 November 28, 2011 April 18, 2015 by LoriLeave a Comment on You say it’s your birthday? It’s my birthday, too! A million thanks to my wonderful family and friends for a lovely day. I ran nonstop, to work, to leg therapy, to a Girl Scout meeting, and back home, so if I missed you, I’m sorry! I plan to celebrate all week, really, so let’s get together. I’m grateful! for the first half of my life; let’s hope the second half is just as good. I’m lighter! I definitely used my time well today; there was hardly a moment of rest. Whew!